It is not uncommon for people to clench their jaw or grind their teeth at night. When this becomes a constant, chronic problem, then it is generally referred to as Bruxism. Those who suffer from bruxism tend to clench their teeth at night when they sleep, leading to jaw pain and other possible issues. Stress – People who are suffering from anxiety and chronic stress are more likely to clench their jaws as they sleep. Medications, Alcohol or other drugs – A side effect of some medication may be jaw clenching. Studies have shown that people who consume alcohol, smoke tobacco, consume caffeinated beverages or use recreational drugs are also more likely to clench their teeth at night. Genetic History – As with many things, teeth clenching can be passed on through genetics. If you have a family history of bruxism, you are more likely to suffer from it as well. Sleep Apnea – People who suffer from sleep apnea are also more likely clench their teeth at night. Unfortunately, an exact cause for bruxism is hard to narrow down. 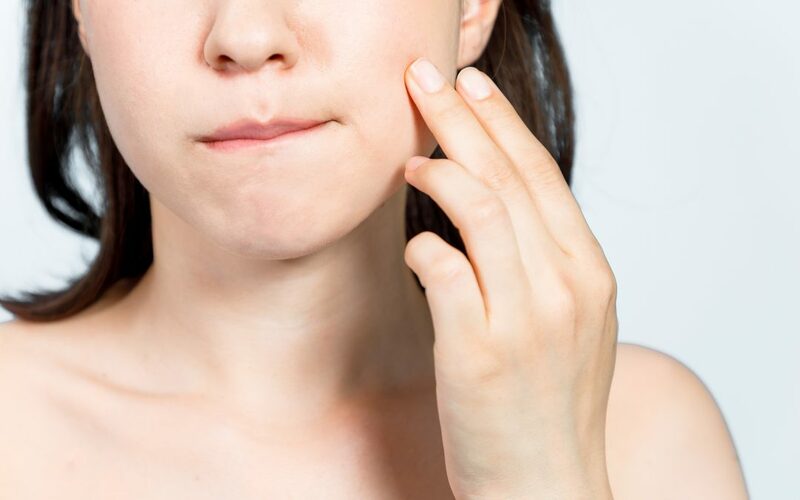 Often minor clenching can lead to a jaw pain or a mild headache, but severe, chronic clenching can cause damage to teeth, migraines, and severe jaw pain. If you are experiencing jaw pain or other symptoms, you may be clenching your teeth as you sleep. 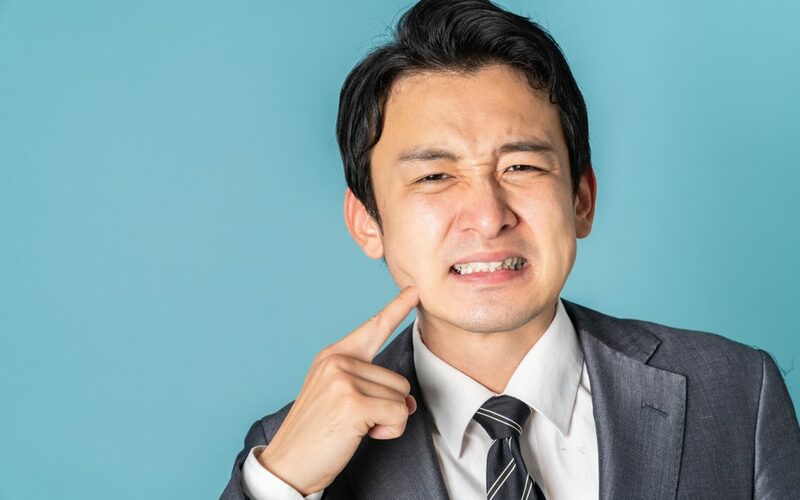 Talk to a TMJ specialist in Vancouver to assess what might be causing you to clench your teeth, and find a way to prevent it before complications arise. Temporomandibular joint disorder, or TMJ, is a condition that can carry many nasty symptoms, including migraines and jaw pain. When left untreated by a TMJ specialist in Vancouver, these symptoms can become chronic and much more severe, leading to longer recovery times and debilitation. TMJ can be caused by a number of different disorders, including a misaligned jaw, bruxism, osteoarthritis, jaw injury due to trauma or a number of other factors. With so many contributing factors, it can be difficult to pinpoint an exact cause without the help of a TMJ specialist. Also, each of these causes carry other risks and concerns, and should be managed and treated. TMJ is not considered to be directly life threatening or dangerous, but it does carry a danger to our quality and enjoyment of life. The symptoms, if left untreated, can cause intense migraines and severe jaw pain. While these conditions are not life threatening themselves, the pain and discomfort from migraines, jaw pain, and other neck and shoulder pain can result in lack of sleep, and impair mood. These all act as risk factors for depression, a serious and life threatening condition. If you find yourself struggling with unexplained jaw pain or headaches, it may be worth seeking out TMJ treatment in Vancouver. Often, the sooner the condition is diagnosed and treatment begun, the less severe symptoms become and quicker recovery can be. Computers have become an essential part of modern life, giving access to emails, playing games, and completing work tasks. While there are many upsides to these machines, there is evidence that shows daily computer use can cause chronic head pain. If you experience regular headaches or migraines, and use computers often, these may be related. Computer use can lead to jaw-related head pain. Some headaches and migraines are generated from the jaw muscles. When these muscles tighten or are overused, the pain can travel to other areas, often resulting in headaches or even migraines. The main culprit of jaw-related head pain from computer use is posture. When we sit at computers, we tend to slouch, lean forward, or favour one side over the other. When this posture is continued for a prolonged period of time, it can actually cause the tendons and muscles of the jaw joints to become stressed and lead to headaches. The best prevention is to use computers less. Unfortunately, for many of us this is not an option, as they are vital for work activities. If you must continue to use a computer daily and for several hours, make sure that you assess how you are sitting at your desk. Make sure you position yourself to avoid slouching and sitting off balanced. Take short breaks as often as possible and move around. Also, do not lean your head forward. Keep your head in a position where your ears do not pass your shoulders. When you slouch your head too far forward, you put strain on your neck and jaw muscles. If you find that your headaches or migraines continue, and your are unable to discontinue your computer use, you may need to seek out other methods of head pain treatment. For most people however, being aware of, and making changes in posture, are enough to reduce headaches caused by computer use. Grinding or clenching of teeth during sleep can sometimes lead to TMJD, although not always. While there are many factors that can contribute to teeth grinding and clenching, this act can put extra strain on the TMJ, resulting in pain. Another cause of TMJD is physical injury. This occurs when the joint itself is damaged by physical force such as a blow or impact. It may also be caused by medical procedures such as breathing tubes being inserted, or some dental or orthodontic procedures requiring the jaw to be forced open for a longer time period. Arthritis is also a risk factor for developing TMJD. The cartilage disks within the joint may become damaged due to various types of arthritis, such as rheumatoid or osteoarthritis. This corrosion of the cartilage can result in the jaw movement no longer being smooth, leading to pain and other symptoms. 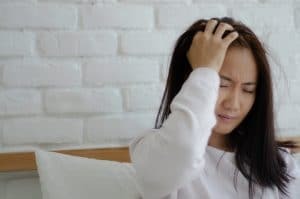 Because TMJD can result in chronic headaches and other pain issues, it is important to get treatment if your symptoms do not go away on their own. Common treatments include pain relievers, anti-inflammatory medications, and muscle relaxants. In more severe cases, corticosteroid injections or even Arthroscopic surgery may be required to fix the problem. If you are struggling and looking for TMJ headache relief, now might be the time to make an appointment with your TMJ specialist in Vancouver to get the relief you need. 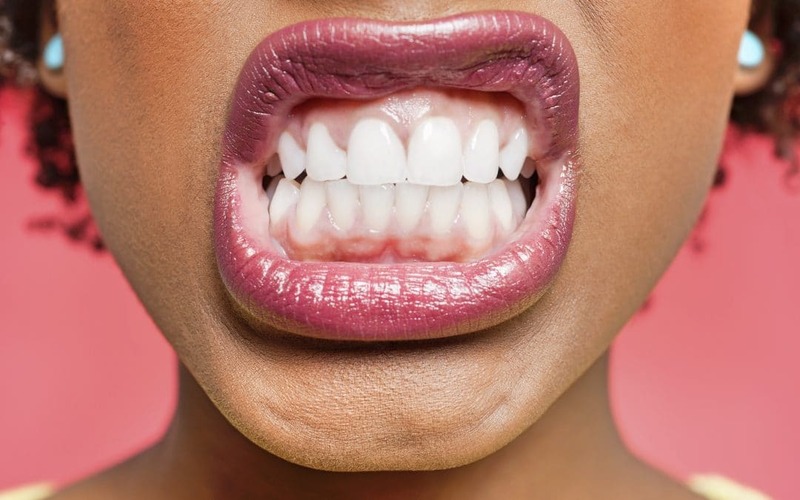 The causes of Bruxism are not fully understood, but symptoms tend to worsen when under stress. Many dentists will provide soft mouthguards to reduced the damage to teeth, however this may not help with chronic headaches. In addition, if left untreated, chronic headaches can lead to debilitating migraines. It is therefore important to find headache relief. How to find headache relief? First and foremost, look at trying to address possible reasons you may be clenching your jaw. Look at bad habits and stressors in your life and try to address these. Find other ways to reduce stress such as regular exercise, and prioritizing tasks. Another remedy is to clear your mind using various meditation techniques. Practicing daily meditation for 10-15 minutes a day before sleeping helps to clear your mind and reduce stress. This may lead to a more relaxed jaw during sleep. It is also important to work on developing better posture. Poor posture can translate into chronic nerve pain, also resulting in chronic headaches. Also make sure to drink plenty of water and stay hydrated. Avoid caffeinated beverages and alcohol before sleeping, as these may also increase the prevalence of bruxism while sleeping. Following these steps maybe not only reduce the headaches associated with bruxism, but also increase your overall health. Because there are a number of different types of migraines, migraine symptoms can vary greatly. Not everyone with a migraine will experience every symptom, and two migraine sufferers may have a completely different experience from one another. Those who experience severe migraines should seek the help of a professional to alleviate their symptoms and help them to determine the root cause of their migraine. Some migraines may be a result of a more serious medical condition. What to do when you have a migraine? If you are experiencing migraines, keep track of the occurrences in a journal. Track the dates, lengths, and types of pain or symptoms you are experiencing when you have a migraine. Make note if anything makes the symptoms worse or if anything alleviates them. 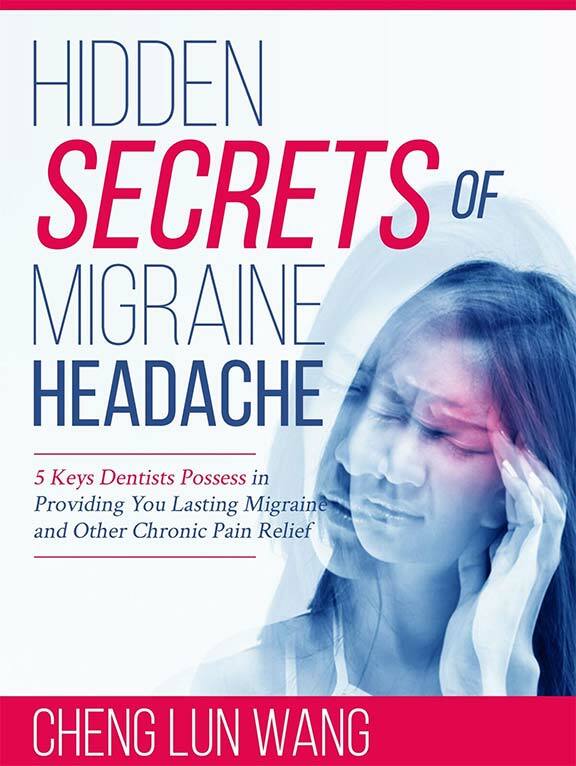 When you go to speak to your healthcare practitioner about your migraines, this journal can be key to sorting out what may be triggering your migraines and how to treat them. In some cases, migraines may be hereditary or they may be caused by injury, illness, or any number of external triggers. If you are experiencing any of these common migraine symptoms, be sure to let your health care team know. They can help you to avoid future migraines and can help you know what to do when you experience one to alleviate the symptoms.